In May this year I attended Ungagged. I got totally blown out with the experience! So I am writing this blog post to tell you that, if you are tired of the usual half-told stories at conventional marketing conferences, UnGagged, the SEO UnConvention may be for you. UnGagged is a reinvented conference that used to be run under a different brand. Since the re-branding, there have only been two ‘Ungagged’ rounds: Vegas November 2014, and London In May 2015, which I attended. I wish I could be in Vegas in November, but I won’t as lucky. If you can, you should go. Lots of entrepreneurs, solo marketers, startups founders, bloggers and other types of individuals making their place on the internet. I met some in-house people like me too, but not as many as in other mainstream conferences like SES, SMX, etc. The sessions ranged from the purely white hat and ethical kind, through grey hat SEO onto plain blackhat. I have to admit that, although I’ve never been on the blackhat side of things, I learned a ton of stuff attending the darker colour sessions. It’s great to see and know what exactly is still working on the blackhat SEO world. 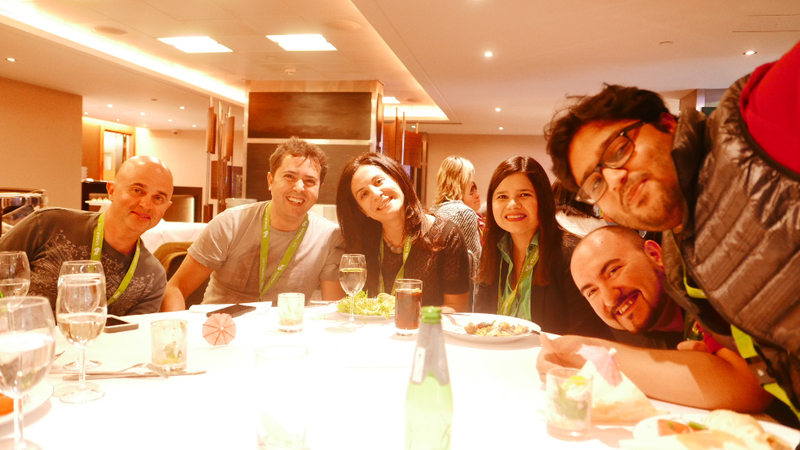 I met a great bunch of friendly people, more than I have ever met before in any other conferences. Attendees were there to learn but also to have fun and socialise. There was a very ‘open arms and share attitude’ from most people in the conference, both attendees and speakers. In terms of speakers, most of the ones I spoke to were also very approachable, and welcoming of questions and ready to engage in conversation with the participants. The Q&A session with the Search brothers was definitely one of the highlights of the event. I’ve never before been to a conference where I’ve had so much difficult choosing between two tracks. There was so much goodness going on that this was constantly the case. It was a highly educational experience. I’m quite sad to see that I am going to miss Ungagged Vegas. So if you happen to have the time budget and are looking to attend a great conference where you can both learn and have fun, I can’t recommend it enough. Ungagged Vegas looks like it’s going to be even more spectacular. On top of some of the top speakers they brought to the London round, they have added additional seo rockstarsv from the affiliate world like Rae Hoffman, Sugarrae and Jeremy Shoemaker. But also big names in Digital and Search, like Bas Vanden Beld or Duane Forrester. This Unconvention seems promising. I took my own too. If you were in Ungagged London this year, and find yourself in any of the photos from this gallery below, feel free to pinch it and use it how you wish.